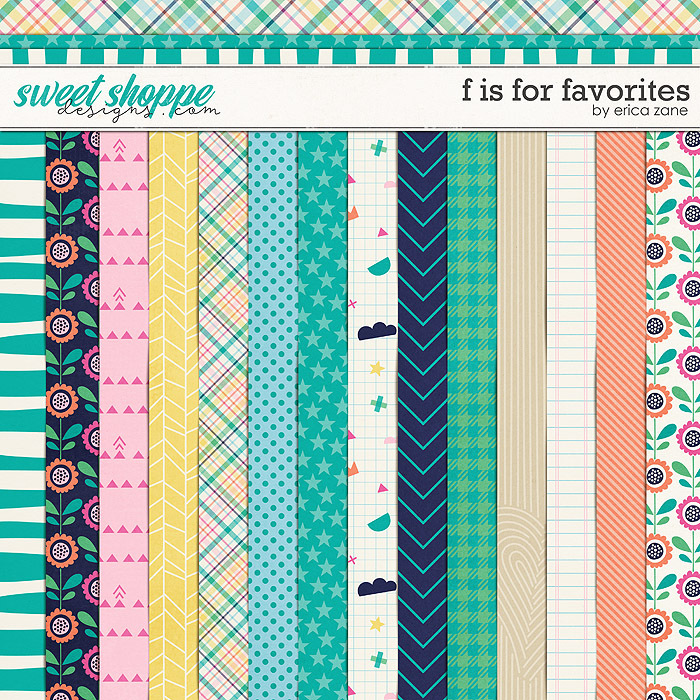 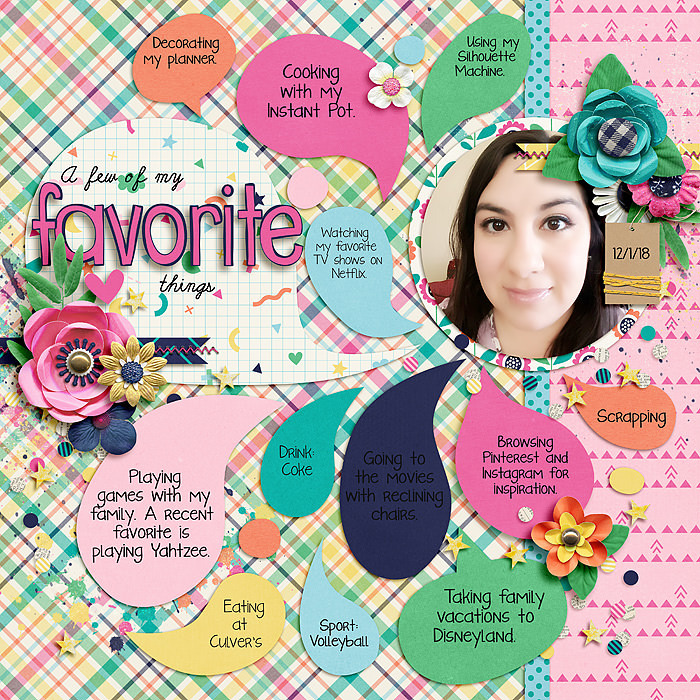 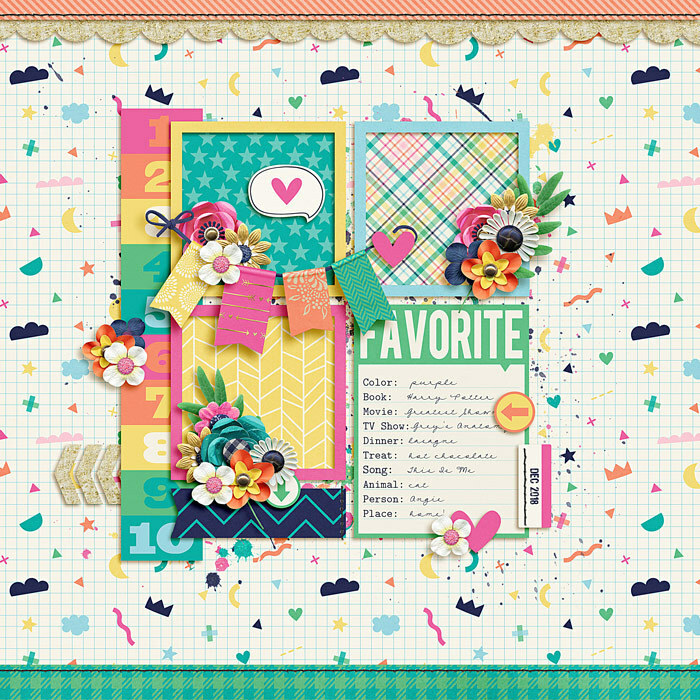 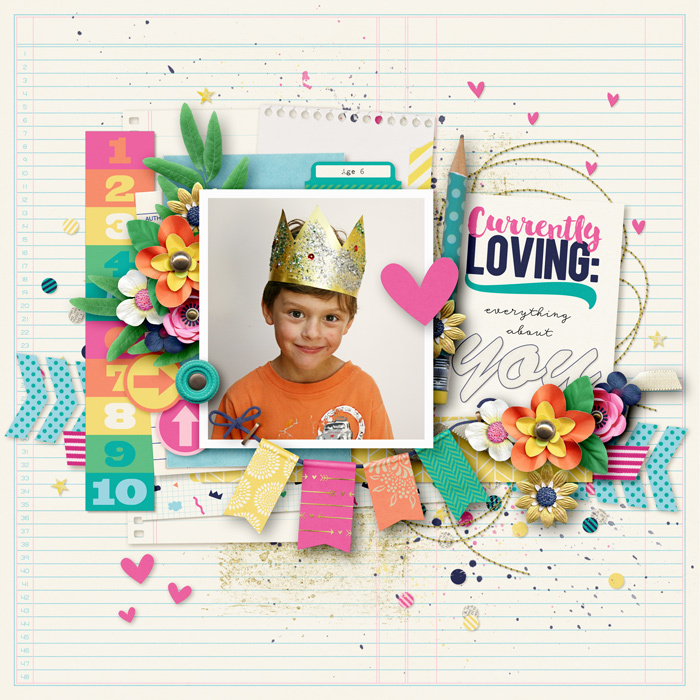 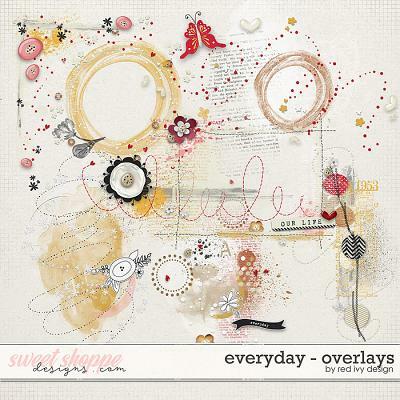 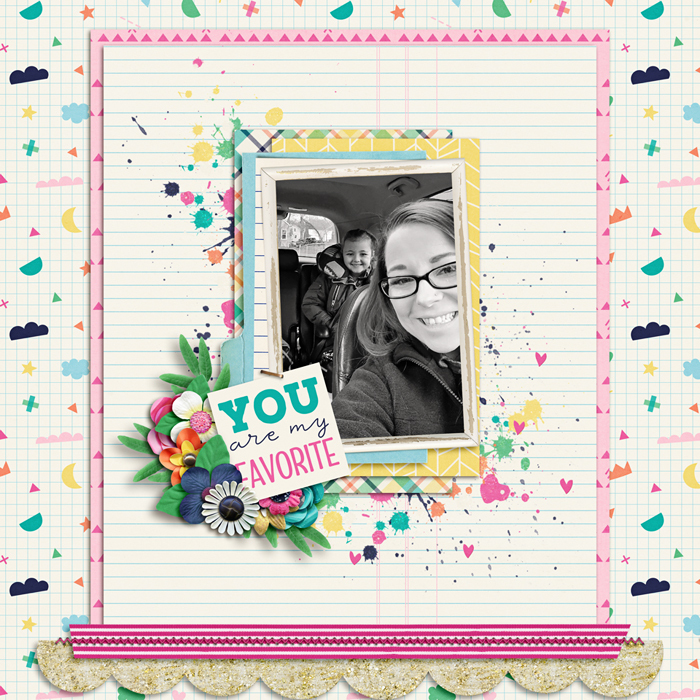 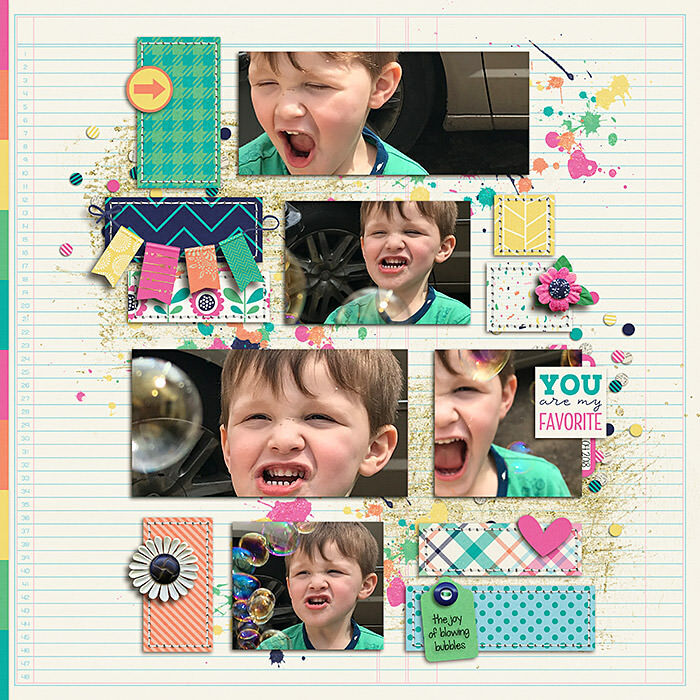 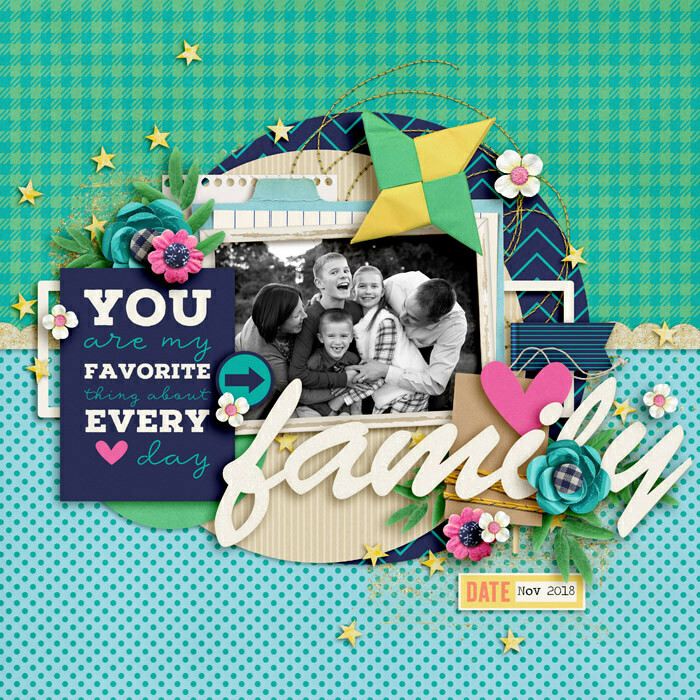 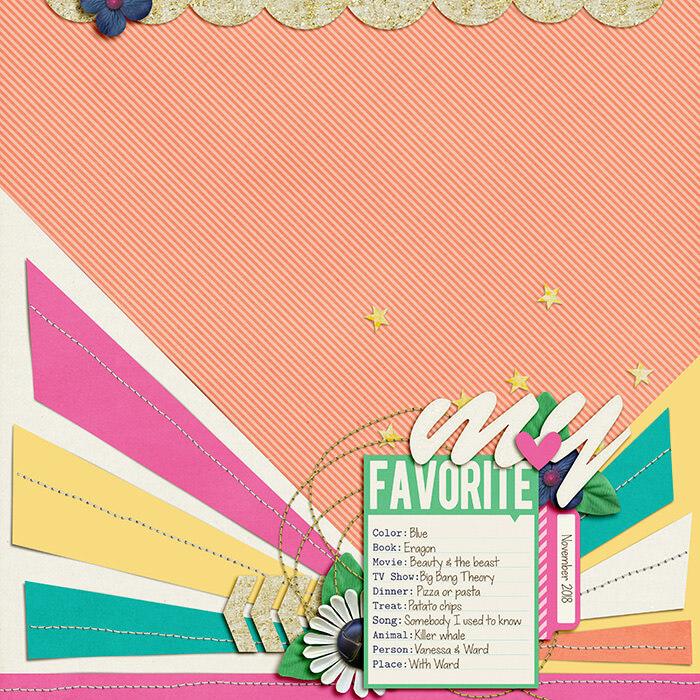 A digital scrapbooking kit by Erica Zane, F is for Favorites is perfect for scrapping all your favorite things! 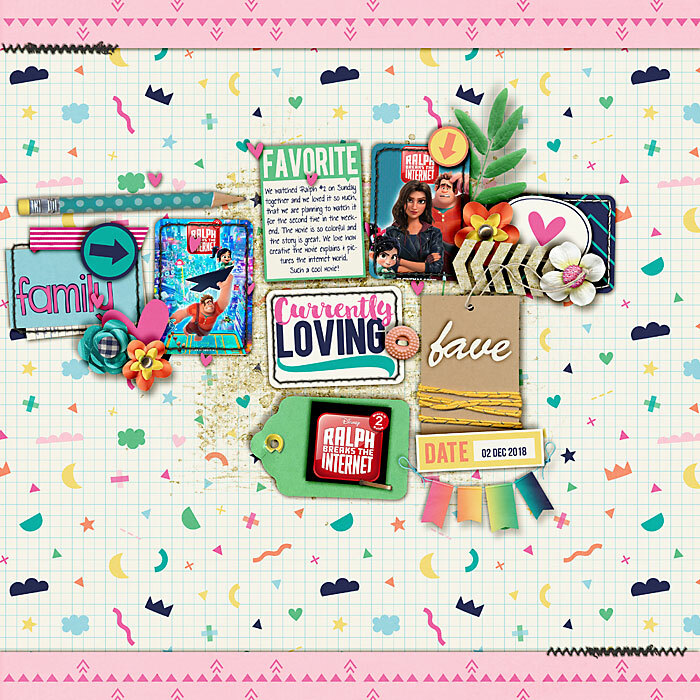 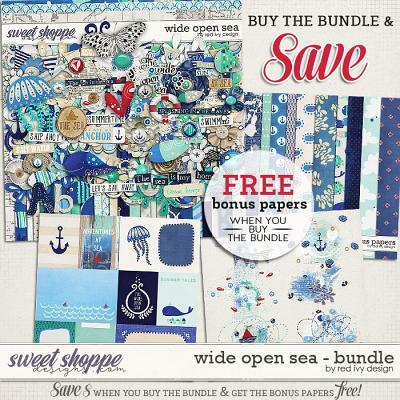 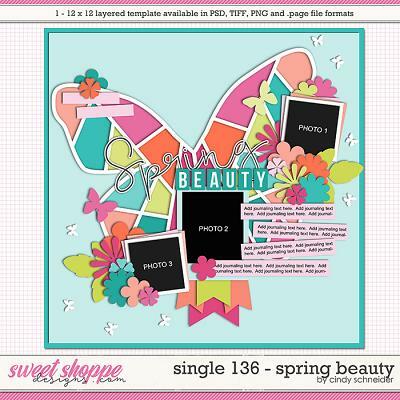 Packed with 23 digital scrapbook papers (26 total), more than 60 digital scrapbook elements and 2 digital scrapbook alphabets (saved as individual .png files). 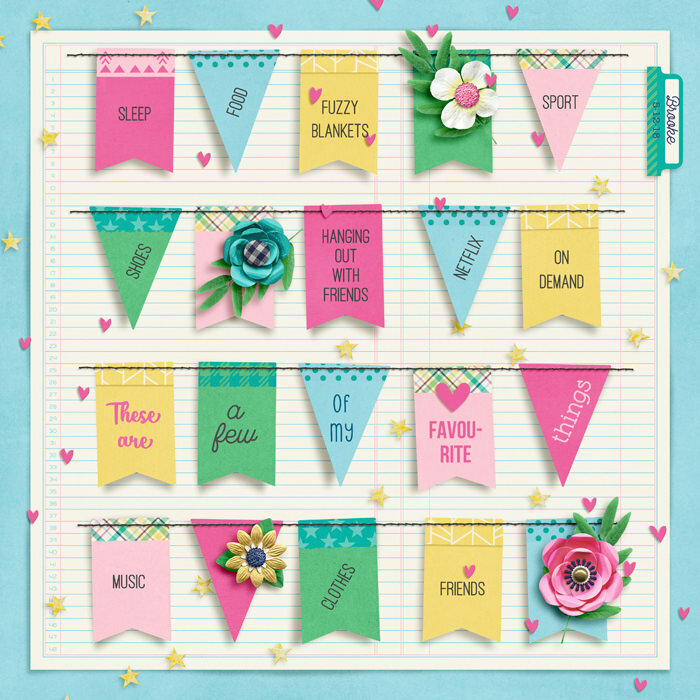 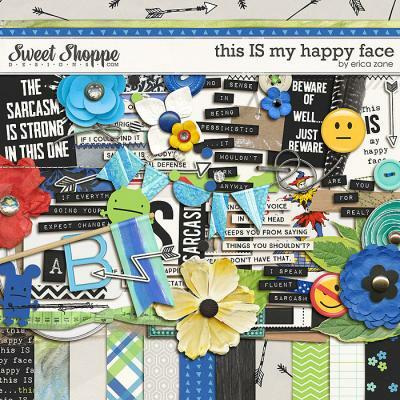 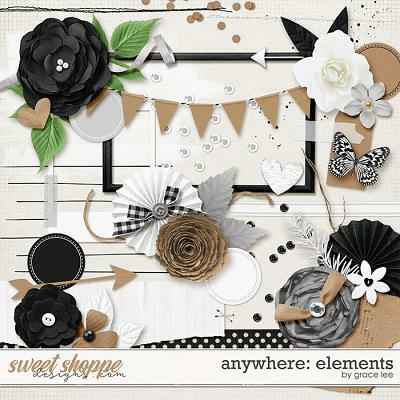 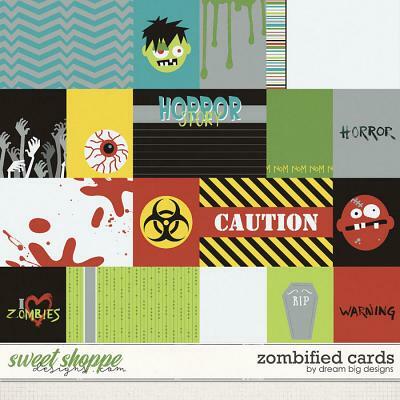 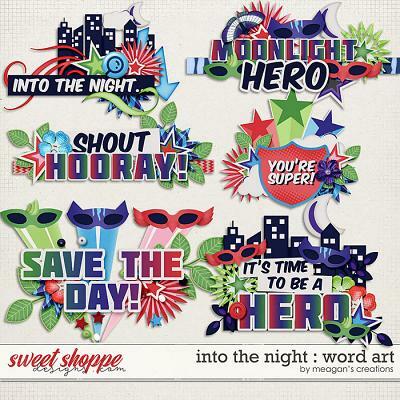 The elements include: arrows, banners, buttons, chevron, confetti, flags, flowers, frames, hearts, journal cards, labels, leaves, numbers, paint, pencil, pinwheel, ribbons, scallop trim, speech bubble, stars, stitches, tab, tags, tape, word art and a staple.